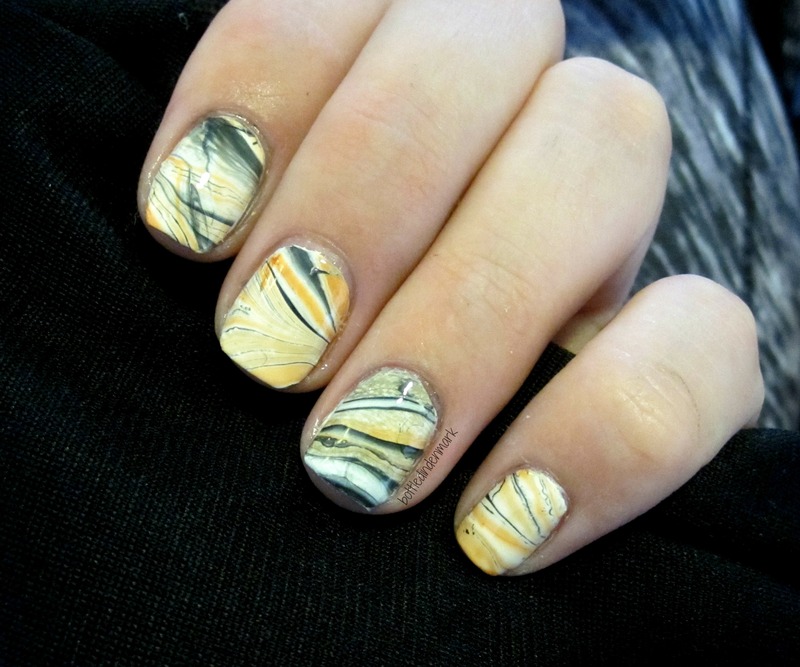 Traditional water marble nails are always a hassle for me to create, but the challenge says so, so… here we go! Since I dragged the challenge in to the month of October (ehm…), I started seeing all these halloween nails everywhere. I guess I was kinda inspired by that – at least the color scheme of these nails kinda remind me of halloween.. I don’t know.. You decide. 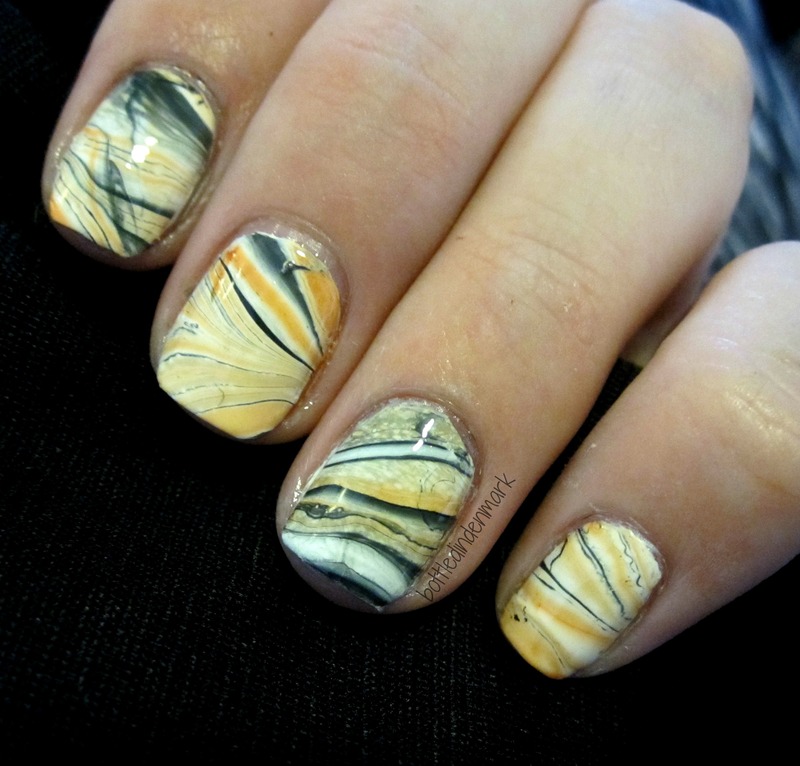 Sigh.. Why can I never get that clean water marble you see others do?